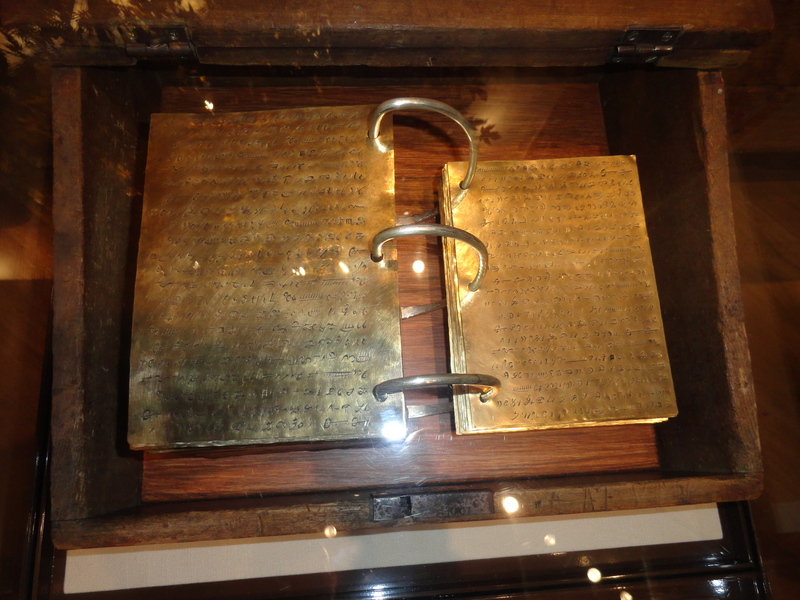 In the case of the Three Witnesses (i.e., Oliver Cowdery, Martin Harris, and David Whitmer), Dr. Peterson notes that their testimony is “overtly and strongly religious in tone.” They testified that they saw the plates that contained the text of the Book of Mormon, and that they saw the engravings on the plates. This, they testified, was shown to them by the power of God when an angel laid the plates before their eyes. It has been supposed by Latter-day Saints that these three men actually saw tangible plates, but the testimony statement itself, as well as other clarifying comments made by these men later, strongly support the conclusion that the view of the plates experienced by these three men was an intangible vision – or, more accurately, two visions since Martin Harris reportedly stated that he didn’t see the angel and plates until about three days after the other two witnesses. What difference does it make to a truth-seeker if the Three Witnesses saw the plates in visions only? While it does not totally invalidate the assertions made by these men, it dramatically changes the so-called eyewitness testimonies from statements of tangible fact to statements of strongly held belief. The Testimony of Eight Witnesses (i.e., Christian Whitmer, Jacob Whitmer, Peter Whitmer, Jr., John Whitmer, Hiram Page, Joseph Smith, Sr., Hyrum Smith, and Samuel Smith) is more matter-of-fact in tone, but subsequent statements by these men confuse the veracity of the formal testimony they gave. 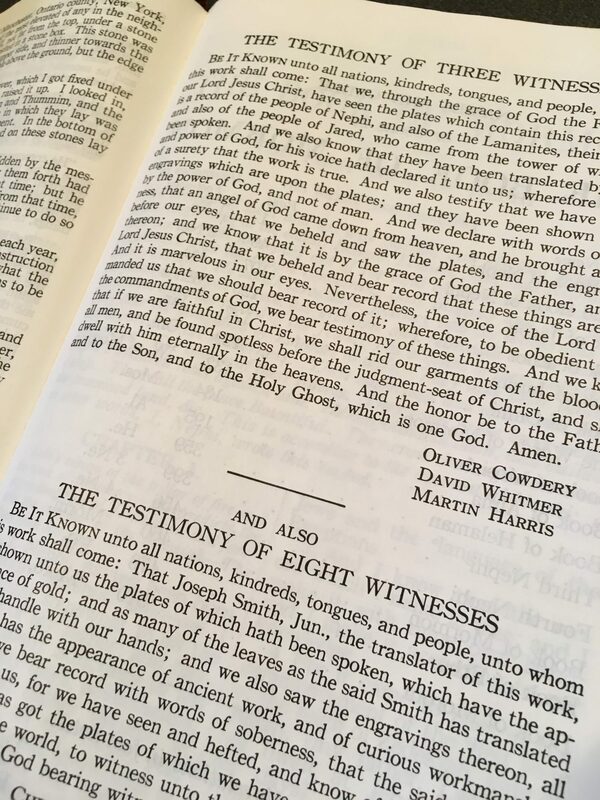 The signed testimony claims that the eight witnesses saw plates, covered in engravings, with “the appearance of gold.” This had “the appearance of ancient work, and of curious workmanship.” The statement says they “hefted” the plates and handled the leaves with their hands. But John Whitmer, one of these witnesses, later said the plates were shown to him by a “supernatural power,” using the same sort of visionary language employed by the Three Witnesses. According to investigating itinerate preacher David Marks, when he stopped at the Whitmer farm in 1830 to talk to the Eight Witnesses they confirmed that they had seen the plates — shown to them by an angel; or, in other words, in a vision. So in reality, these special witnesses of the Book of Mormon didn’t see Joseph Smith’s tangible plates; they saw visions. Boiled down, their printed testimonies claim that they knew the Book of Mormon was true. They knew it in the same way that Martin Harris later claimed he knew the holy book of the Shakers was true. They knew it in the same way the Whitmer family later claimed that they knew Hiram Page’s “false declarations” received via his seer stone were true. They knew it the same way five of the Book of Mormon witnesses later knew William McLellin’s Church of Christ was true. They knew it in the same way Mormons all over the world “know” Mormonism is true: they interpreted a subjective spiritual experience to confirm their already strongly held beliefs. Even when visions are not decreed to be impossible, the testimonies of the Book of Mormon witnesses are contradictory and the witnesses’ credibility is questionable. Dr. Peterson suggests that the testimonies of the eleven witnesses eliminate “the possibility that all of this rests merely on Joseph Smith’s imagination,” but he does not consider the possibility that much of it could rest on the fertile imaginations of the witnesses themselves.